Malaysia Airlines’ latest Twitter campaign is live. It really seems as if the struggling carrier sees digital and social media as another version of mass media – as a channel for pushing a corporate message onto an unsuspecting public. Over the last couple of years they’ve made some terrible blunders online and you can read about them here and here. Today the attached post appeared in my Twitter feed. why would anyone share this pointless tweet from Malaysia Airlines? In an attempt to increase sales of business class, the marketing department seeks to make the business class offering unique by telling you that if you buy a business class seat you can have access to the business class lounge before your flight leaves! Isn’t that stating the obvious? Doesn’t every business class passenger have access to the business class lounge? 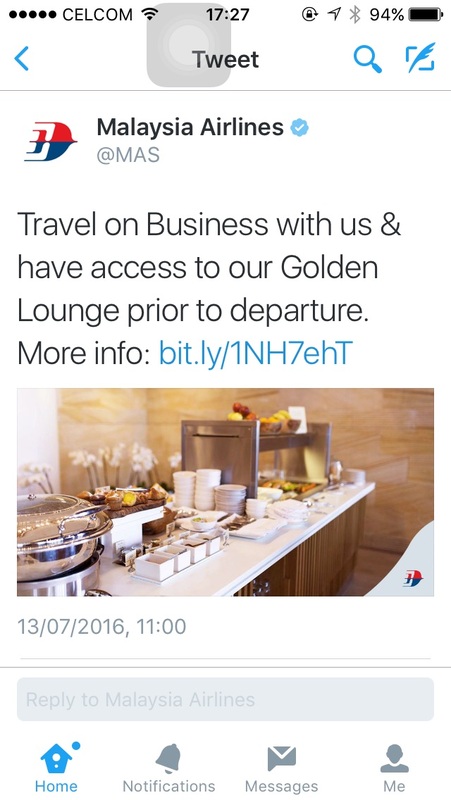 Or does Malaysia Airlines not allow business class passengers to use the business class lounge? And if you click on the link in the tweet, you go to the golden lounge page on the website. That’s it! That’s it? 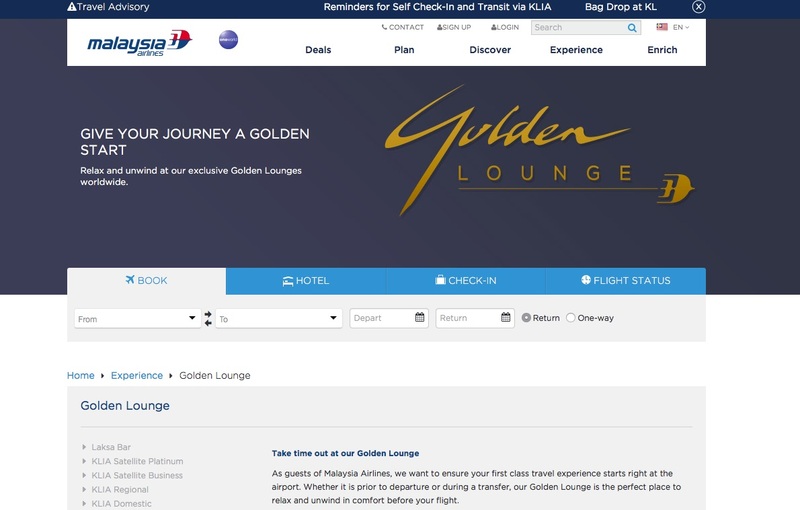 A page with standard information on the lounges? Seriously Malaysia Airlines marketing department, is this the best you can come up with? If it is, give me a call. 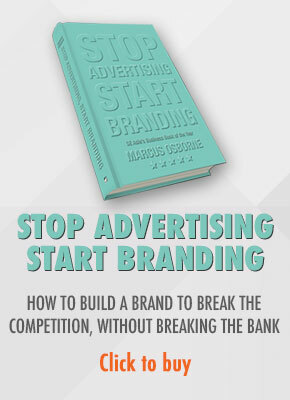 I promise we can do better as you stop advertising, start branding. No, it says “travel on business”… That could mean “Travel on a business trip!” I admit that I am really picking this apart, but! you gotta be precise. Twitter has limitations with the amount of text you can put in, but the golden rule of marketing applies “Never confuse the customer”. No, you are right. It only takes one person travelling economy but on a business trip to go to the lounge and be refused entry to then take them to court for false misrepresentation or whatever or worse write about it in a blog or FB posting and the brand will take another pasting! That the lounge is associated with business class or first class. Thanks for taking the time to reply. Why would an airline spend money to create an advertisement telling business class passengers they can use the business class lounge if they travel business class? Have you ever known an airline to say “travel economy and you can sit in a seat and use the bathroom” Of course you haven’t because it is stating the obvious. Every business class passenger is entitled to use the business class lounge. It’s absolute nonsense to tell them so in an ad. It’s a disgrace that a) someone came up with this rubbish and b) someone approved it. And Yousuf, another thought. If ‘any passengers will understand that the lounge is associated with business class or first class’, what is the purpose of the ad/post/promotion? Isn’t it just adding to the advertising clutter and doing nothing else? This article is ridiculous – and also, social media content feeds are rarely considered an “ad” in the most traditional sense. It’s normal to post content like the above to keep a particular topic top of mind. Perhaps a Frequent Flyer would stumble across it, and think: “Oh, that looks like a nice Lounge. Perhaps I could look into Malaysia Airlines’ Business offerings.” Aside from that, the tweet doesn’t look paid at all – I doubt Malaysia Airlines had wasted much resource on it for this to be considered a “fail”. Firstly, I agree with you on one thing, Malaysia Airlines certainly didn’t invest many resources on this. That is very clear. Secondly, where was the image of the lounge? All I could see was some crockery, cakes and fruit. Are you referring to the images on the site? I question how relevant they are because some of them don’t look like any of the Malaysia Airlines lounges I’ve used over the last 25 years. Thirdly, do you really think it’s that easy to encourage a frequent flyer to consider switching airlines? To give up his loyalty, his frequent flyer miles etc? Moreover, don’t you think a business traveller would look at the ad and say to himself, “what kind of airline tries to entice me with the promise of use of the business class lounge if I buy a business class ticket?” Does it mean that for large periods of the year Malaysia Airlines doesn’t allow business passengers to use the lounge? Fourthly, your comment, “social media content feeds are rarely considered an “ad” in the most traditional sense. It’s normal to post content like the above to keep a particular topic top of mind.” shows a distinct lack of understanding of social media, what it’s for and how to use it. Without going into too much detail, what particular topic are they trying to keep top of mind? And instead of trying to stay top of mind, I’d try to stay relevant on social media. Lily, if you work for the airline, the agency or the department that came up with this rubbish, then please accept my comments as motivation to do better, not get upset. 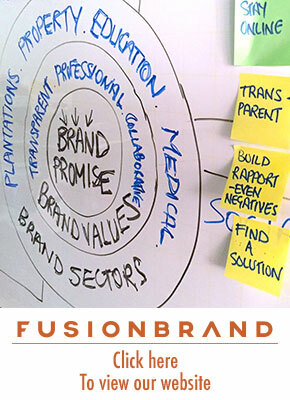 An ad, by definition is any message by a company or organisation with an identifiable sponsor. In other words, anything someone pays for and that let’s you know who it is from… as such, this is wasted ad spend. Thanks for coming back and contributing to the discussion again. In addition to the wasted ad spend, it’s wasted space and contributes to the negative cloud around the brand. It’s nothing personal!